We assist you in travelling, meeting Russian ladies as well as making friends, sharing interests and developing relationships. • Try new experiences and new activities in a new country. Hello, I'm Natasha, Director of Happy Couple Russia. 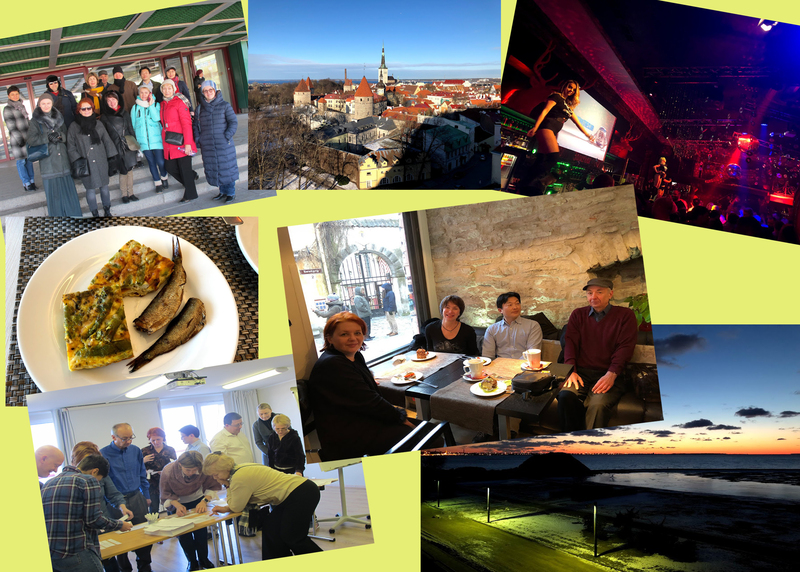 We started our first Romantic Tour to Tallinn on the 16th March 2018 and it was really a success as we got only positive and exciting reviews from our participants! Good news! We decided to carry on! Hello, I'm Mark, Director of Happy Couple UK. Everyone in our group is hosted by me and Natasha personally, so we’ll always be there to organise your trip to the country hosting the event, introduce you to all the members, assist in socialising and whatever may be required during the Tour. Our events are open only for members! We gather together different people from different countries, but you may be sure that they are all whom we know well and they are all fun to be around! "The trip to Tallinn was a very pleasant event in my life. I was in this city for the first time. A stunningly beautiful and special city. Roman, our guide in the city, enthusiastically and interestingly managed a tour. Although I do not know much English, but thanks to my dear Tamara, my roommate, she helped me with the translation. The weather was cool, but we were warmed with fragrant coffee in a cozy cafe. Very interesting and with a sense of humor passed the lesson of English-Russian spoken language. Thank you very much Natasha and Mark for an interesting lesson. I will remember for a long time going to a nightclub. Can’t hear anything, Can’t see anyone. But fun fun fun !!! I met wonderful guys from Luxembourg Jean, Hiroyuki from Japan, a beautiful girl from London Tamara. Once again a big thanks to the organisers and the team leaders Natasha and Mark. Wonderful, positive very nice people! I hope to return to this city again!role is one of a personal adviser and mentor and is the backbone of our Russian operation." I am getting touch with J. ( via facebook) and she told me that you’ve already sent some pictures to us. So, I’m glad if you reply back this email to me. By the way, Thank very much for your kind assistancein the tour. It was a very good experience! I could enjoy the tour with other members. I would like to let everyone know this album. If you need please download pictures from the address here.